With an encyclopaedia of ingredients, Parsi cuisine incorporates bold flavours that somehow always make perfect sense on your plate. 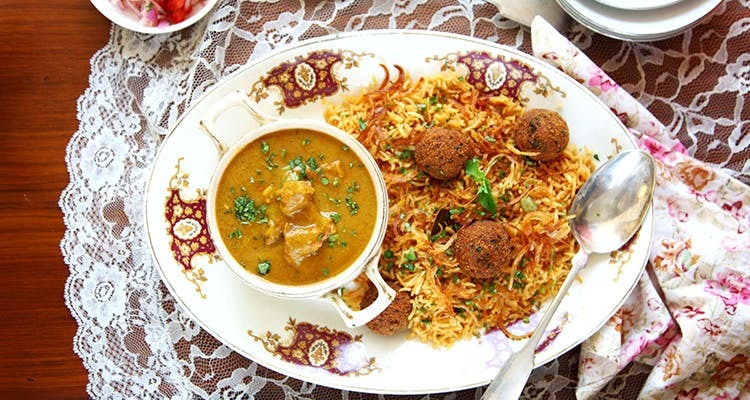 Here’s where to score the most authentic Parsi cuisine in the capital. Rustom’s- Parsi Bhonu is a quaint little restaurant in Daryaganj that promises authentic home-cooked food, made from recipes passed down over generations. So far it’s got great reviews and plenty of options for vegetarians. Try their signature Kheema Pattice, Dhan Sakh and good ol’ Pallonji’s soda. With a menu that reads like a proper Irani cafe menu, along with Bombay favourites thrown in for good measure, this is one cafe that really kickstarted the whole Parsi food trend in Delhi and NCR. Try their Kanda Bhajji, Patra Ni Machchi, or Margi Na Farcha. Don’t forget to wash them down with the excellent cold coffee, or the quintessential raspberry soda. One of Delhi’s best-kept secrets, Parsi Anjuman is the dining room at the Parsi dharamshala in Daryaganj. One is welcome to dine here, but only if you’ve made a reservation with the ever-efficient Mrs Bagli. There is a daily pre-fixed menu, which could include Mutton Dhansak, Chicken Salli served with rotis and kachumbar, or Patra Ni Machchi with a perfect mint and coconut dressing. If you’re still looking to get your Parsi food fix, Faarsi in Hauz Khas Village, and Fidaah in Epicuria, Nehru Place also serve Parsi food.